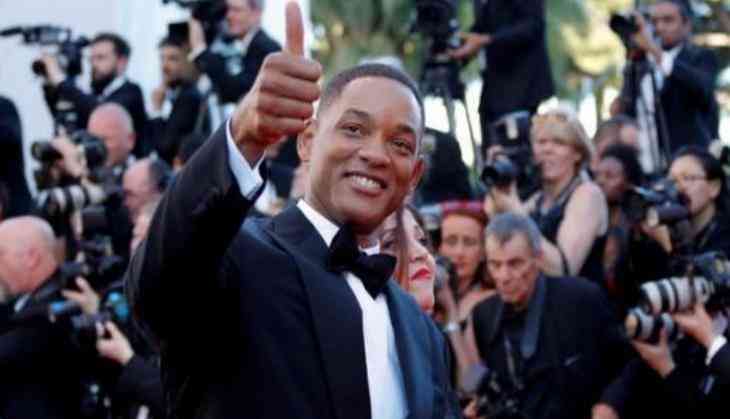 The 70th Cannes Film Festival kicked off yesterday and this time superstar Will Smith brought the star power by becoming a member of this year's festival jury.The ' Concussion' star addressed one of the most burning topics of this year - Netflix's place at the world's most prestigious film festival. The 'Concussion' star addressed one of the most burning topics of this year - Netflix's place at the world's most prestigious film festival. As reported by People Magazine, the 48-year-old-actor spoke out in support of the online streaming giant and shared that Netflix brings a great connectivity. For the unversed, the organisers were forced to change their rules after the streaming giant refused to screen its two films in the running for this year's Palme d'Or top prize in French cinemas. For the first time, Cannes has selected two Netflix releases - Bong Joon-ho's ' Okja' and Noah Baumbach's ' The Meyerowitz Stories' - for its Palme d'Or competition. The 'Suicide Squad' star looked dashing in a black tux.